There is a thin line connecting a school of philosophy and a YouTube channel, but it’s there and lends credence to the law of attraction. The law of attraction states positive thoughts will conjure favorable opportunities, as negative thoughts influence unwanted experience. No one knows who originated that belief, but it dates back well before Al Gore said he invented the internet. Before Justin Bieber discovered digital marketing. Before Greg Aidala picked up a telephone. And, before Kate Welshofer started cracking jokes in front of a webcam. Last month, Welshofer announced to the Capital District she was leaving her anchor position at Spectrum News after nearly 11 years. She has moved on to take a role at an NBC affiliate in Buffalo. Ironically, she said, they knew nothing of her professional work. “Plain and simple—my YouTube channel got me this job,” she stated on Facebook. Welshofer stumbled into journalism through following her sister’s footsteps into college. She knew she wanted to go into college, but didn’t know what she wanted to pursue. She knew she liked to write, which led her to marketing and, later, broadcast journalism. She ultimately landed a job as a producer in Rochester after graduating from St. Bonaventure. But, even while launching her career, she said to herself, “I don’t belong here.” She liked news. She remembers when Walter Cronkite retired, “This Dan Rather character is just not cutting it for me.” And, she liked writing stories. So, when people asked her why she didn’t go into newspapers, she didn’t have an answer. hour segment on a newly developed 24-hour news program. She had a “rag tag” team that included an editor and a few videographers. In between segments, the team started filming spoof reports and comedy reels. Aidala’s start in comedy began by calling a phone number from an ad in the back of Metroland in 2001. 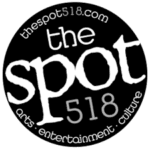 It was to audition before television comedian Colin Quinn to perform for a benefit show in Troy. The promotor asked for a video tape of his stand-up routine. That was a problem. Aidala never performed, let alone had a routine documented on tape. After weeks of calling to get a break, he ad libbed. “I’ve only performed on Southwest and Amtrak and they don’t allow me to tape,” he said. After a long silence, the man on the other end of the line said, “I’ll call Colin and call you back in two days.” Aidala said he didn’t expect a return phone call, but as promised, he received a call back. “Colin said he’ll give you ten minutes, but you better be [pause] funny.” He was. After his audition, show organizers had him open the show before 400 people. Since then, Aidala has toured the country with the likes of Jerry Seinfeld, Kathleen Madigan, Jackie ‘The Joke Man’ Martling and Charlie Murphy. In 2005 he formed Radial Gage Entertainment, his own entertainment company. His vocation has him working regularly between here and New York City. Behind the scenes, her segments are taped and spliced together between news stories. She has no interaction with other on screen personalities. Nearly five years ago, out of frustration, Welshofer started “No Teleprompter, No Mercy” on YouTube. She started a comedy channel. Each week, over just a few minutes, she and her feline co-host Brian Williams talk about everyday stuff. Blind dates. Starbucks. Thanksgiving. Funny, off-center takes on stuff people are already talking about. It’s not unlike her day job, but there was one, definite difference. No robot. Aidala thought of credits with the help of his brother. The two were talking about a car commercial they each found annoying, and thought of a clever — yet, completely inappropriate — way to end it. Inappropriate, but funny, and it sparked the idea for “Credits.” To do it, he shot an email to Welshofer. 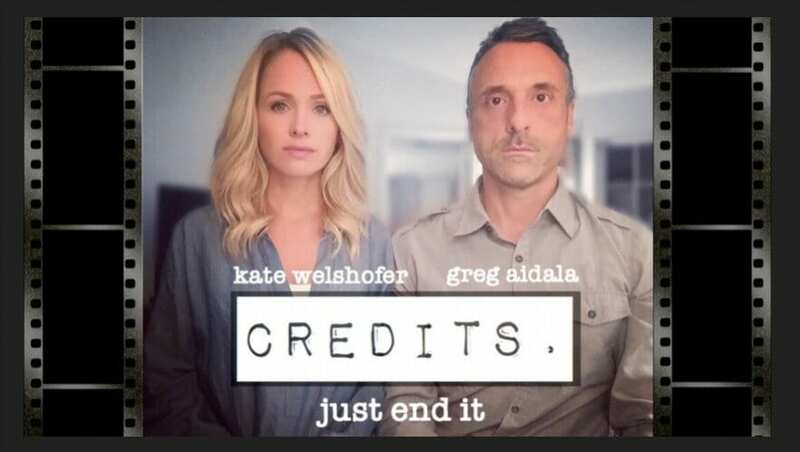 The first episode of “Credits” premiered online last December. It’s left for interpretation, but it appears to be snip bits taken from the lifespan of one couple’s quirky relationship, including a short speed-dating scene. Aidala: Hi, I’m Greg. I’m a Pisces. Welshofer: Hi, I’m Kate and I’m a lunatic [cat hiss]. Juxtaposed against the news anchor’s robot persona, it makes for a hilarious few seconds before going on to yet another funny clip.